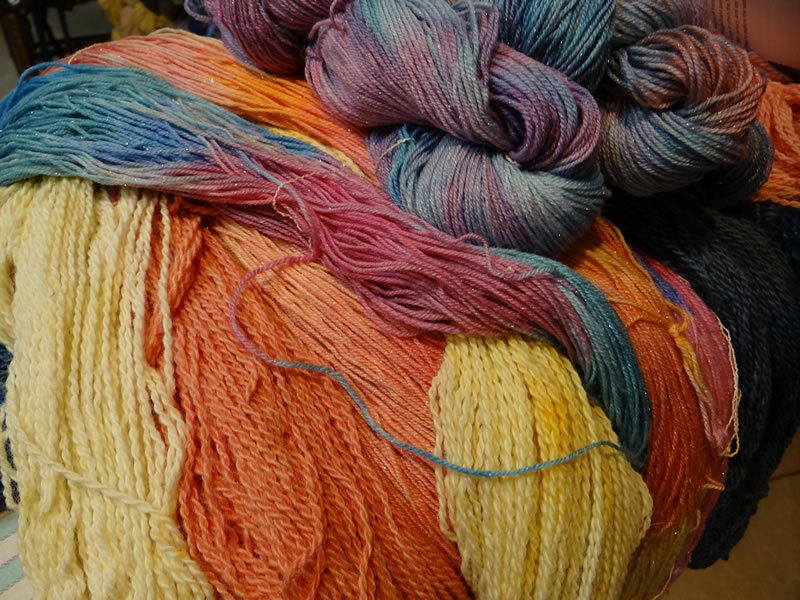 Red Barn Yarn - high-quality hand-painted yarns - Why am I different? What separates hand painting artists from commercial dyers?? If you ever wondered why hand painted yarn tickles your fancy, it is because as a hand-painter, there is a much greater liberty to create artistic expressions, colors, blends, shades, tints, complex colors and combinations in a variety of methods. At Red Barn Yarn I have developed a grouping of colors that I consistently produce. I think at last count that number was around 100 or so. 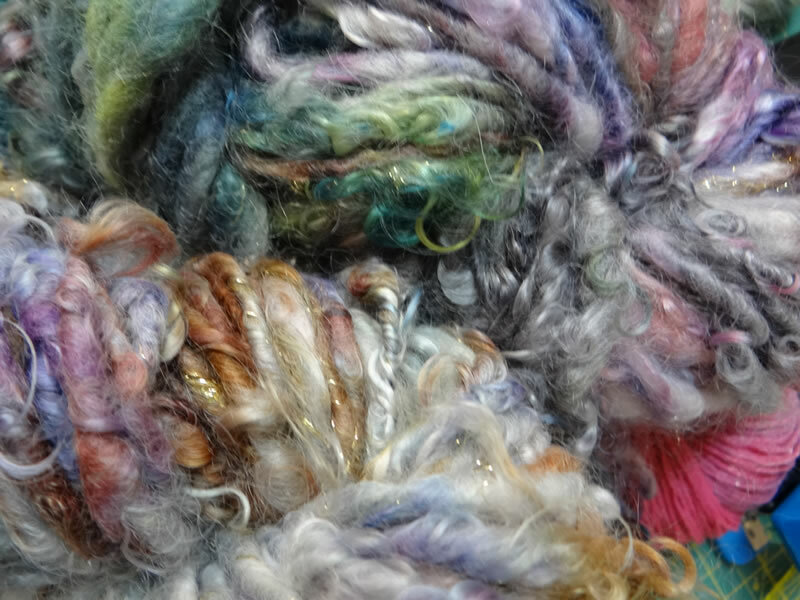 I also create those fabulous, “one of a kind” skeins along the way which you can find when you visit the Studio. There are some images below of what you might receive if you were to choose from the Uniquities Collection, email us about something special, or find it in the Studio. I like to handle the wool in a particular fashion, and I like to experiment with the melding of different colors in each painting session. That experimentation is what then ends up as the fun skeins in the uniquities collection. If they are dynamite, I may go back to my notes, and add the item as one of the available colorways. This just happened as we created the fantastic colorway that is named “Liquid Amber” you will see it in the palette of colors. Looks just like those leaves, on the Sugar Maples of Ohio. Here in California, they are known as Liquid Amber trees. I studied the theory of color and composition in college and have post graduate training in drawing and oil painting. I owned a Stretch & Sew store in Kansas City, teaching many many ladies, AND men, to choose wonderful fabrics, and to understand and use industry methods of garment construction. 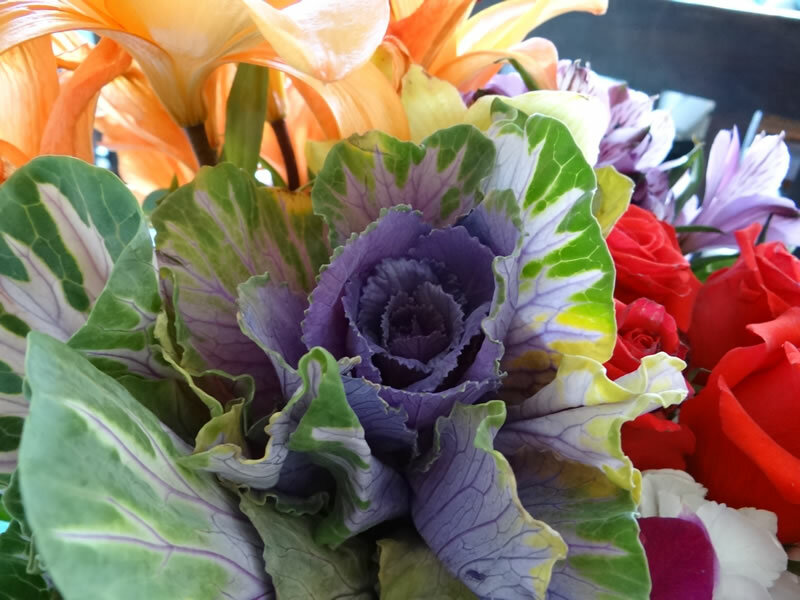 This knowledge and background is integral to creating beautiful colorways, as well as knitwear design and instruction.